Mannequins are mannequins – a somewhat humanoid shape (more often than not in the shape of a lady than a man, for obvious reasons that the ladies love to shop for clothes more than men), and they are lifeless and motionless items that sit pretty behind a departmental store’s glass display. I am quite sure that some of us with an overactive imagination would sometimes wonder what happens when the lights are turned off at night, and a scenario from “Night at the Museum” works itself out, although this time around, it would not be prehistoric items that come to life, but rather, them mannequins. 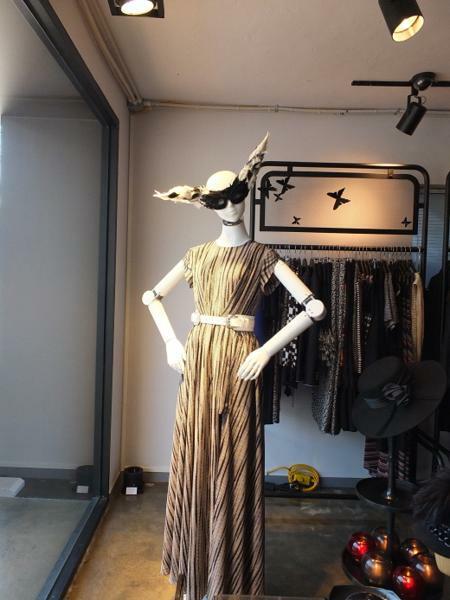 Well, the day has come slightly closer, as a robotic mannequin developed by IMD Communications will be able to pose itself for customers in a South Korean fashion store. Obviously South Korea and Japan are rivals not only on the robotics front, but basically when it comes to technology (cars, computers, smartphones, tablets, TVs, home appliances, you name it), they have a keen competition between one another, but a healthy respect, too. South Korea seem to have the upper hand here when it comes to their robot mannequins that will come in three varieties, where each of them has been named after an Indian god and programmed with its own modeling behaviors. Endrani has been described to be a 30-something woman who exudes elegance, while Dipani highlights women’s confidence and creativity, with Marian, last but not least, being the most dynamic of the trio, as “she” symbolizes strength and the outdoors. These robots will come with moving limbs that make it far easier for store clerks to dress and undress the mannequin, and you would most probably see them at high end boutiques considering the initial outlay that the boutique owners will need to fork out in the first place. No idea on pricing details on the South Korean mannequins, but cheap should not be part of the equation.